Looking for a Cairns restaurant where locals and international guests go to and rave about... this is it! 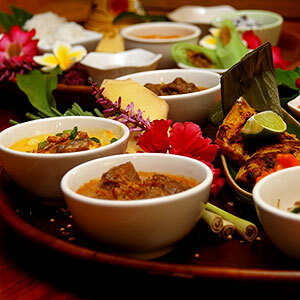 Bayleaf Balinese Restaurant offers the authentic flavours of the Balinese cuisine in a tropical ambience. Our restaurant venue also hosts a small private dinning room, that’s ideal for lunch time meetings, presentations with catering, private dinners etc. 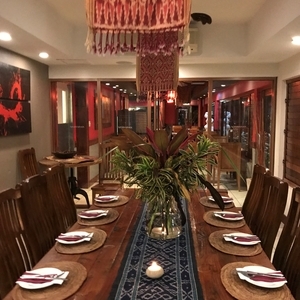 Whatever the occasion, the Bayleaf Balinese Restaurant offers the perfect setting to celebrate with friends, family, staff and clients. The venue offers unique and versatile setting options for your next occasion, also with a bar area that can also be booked for your next event. Our team focuses on delivering impeccable service, delicious Balinese food and carefully curated cocktails. Opening hours excludes selected public holidays, contact us for more information. 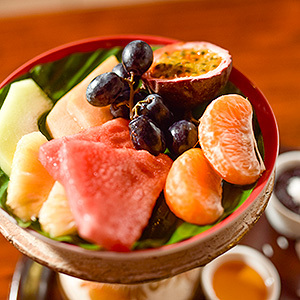 Reservations are essential for this popular Cairns Restaurant. Please call us on (07) 4047 7955 to make a reservation.